KNOX BIBLE - Translated single handedly by Msgr. Knox over 9 years. In the high-ceilinged library of an English manor house one rainy day [in 1948], a bony, white-haired priest in an oversized clerical collar tapped away at a portable typewriter. From time to time he paused to knock the ashes out of his pipe against the fireplace or consult one of the fat books stacked on the massive antique table before him. At last he stood up, pulled the paper from his typewriter and closed his reference books with a ceremonious bang. His nine-year labour was finished. Monsignor Ronald Knox had completed his translation of the Catholic Bible. 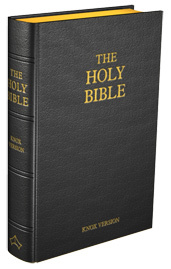 The translation of the Bible by Ronald Knox was officially made at the request of the Bishops of England and Wales, although Knox had wanted to try his hand at updating the language of the Bible for some time. It had been the desire of a succession of bishops for almost a 100 years to create a new Bible translation to replace the Douay Rheims edition. This Bible which had served English speaking Catholics since the time of the reformation had undergone several revisions, but was filled with archaic language, making it incomprehensible in a few places. 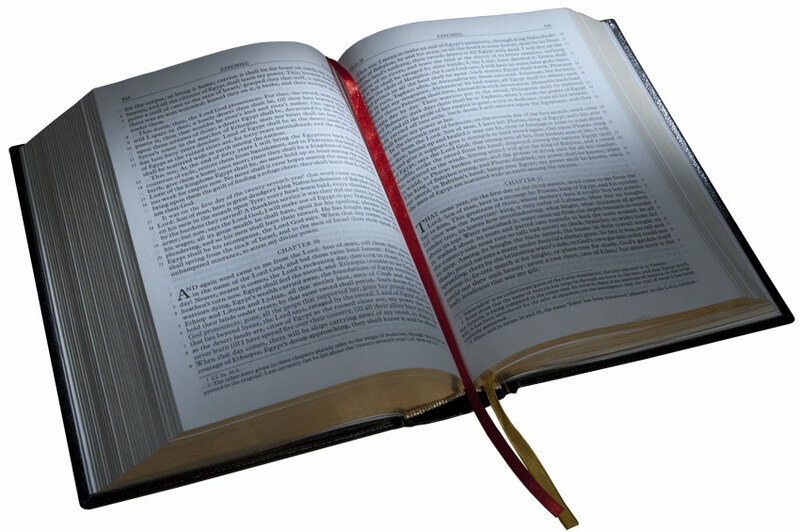 Although the Douay translation was much loved and gave many passages of Holy Scripture that are still well-known today, it was felt that the translation was too difficult to understand. A new translation would bring the gospel message to a much wider audience. The English bishops gave him permission to start just before World War II broke out. It was initially planned that he would report his work to a team of evaluators, but the wartime difficulty of communication made that impractical, so he worked entirely on his own. When it came out after the war, there was some predictable criticism from people who liked either the King James version or Challoner’s revision of the Douay-Rheims. Knox even wrote a small booklet to explain how he had gone about translating the Bible in order to placate the critics. Even the Archbishop of Canterbury of the time recommended it, and it became the preferred translation of Fulton Sheen. The Bishops were so pleased with the completed version that it was authorized for liturgical use, and the Knox translation of the Bible was used as the official version in the churches of Great Britain, Ireland and Australia for the decade leading up to Vatican II – and the first version sanctioned for liturgical use in England and Wales.